She defends truth, love, and justice! 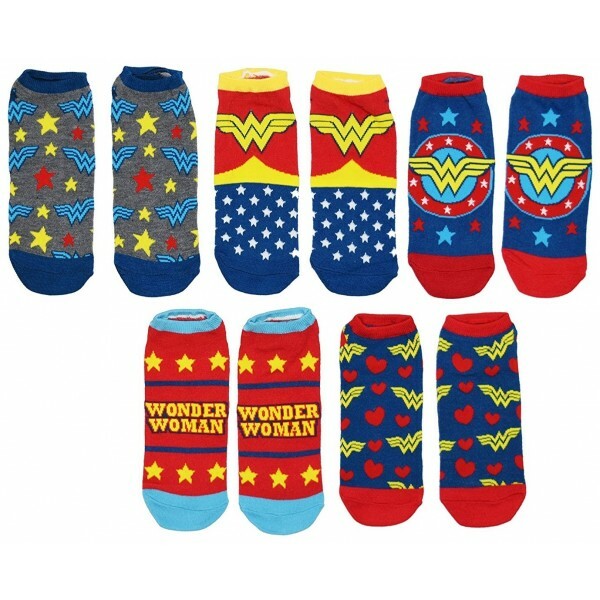 This 5 pack of Wonder Woman ankle socks features patterns inspired by her classic costume. 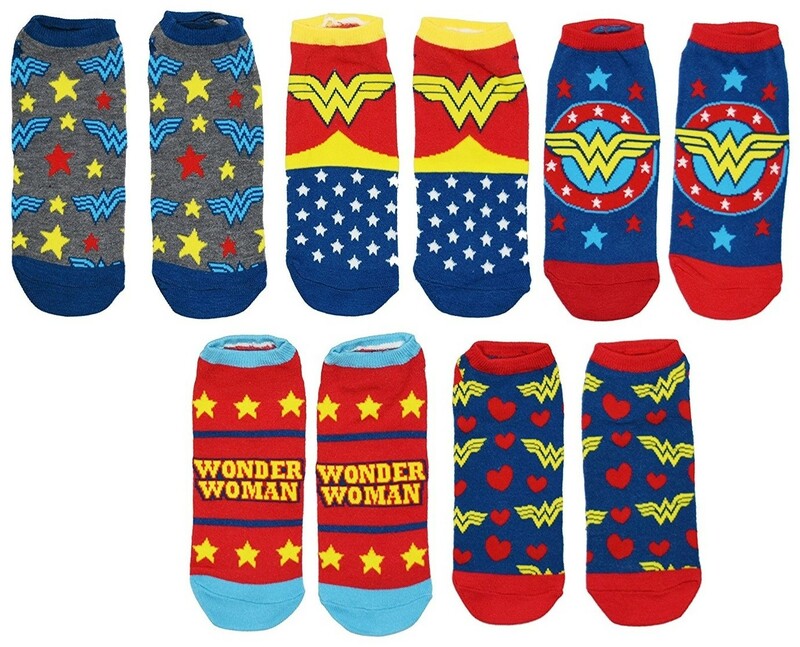 These 70% polyester, 20% nylon, and 10% Spandex socks are perfect for any fan of this iconic superhero. Available in one size which fits most women's shoe sizes 4 to 10. For more products for Wonder Woman fans of all ages, visit our Wonder Woman Collection.